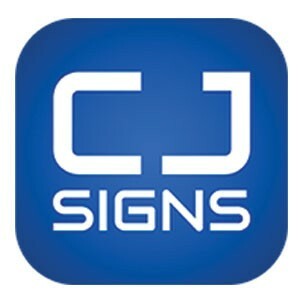 CJ Signs have been providing stunning vehicle wraps for over a decade. Starting as a husband and wife operation, we have earned a reputation of one of the region’s leading vehicle wrapping companies. Word of mouth recommendation have played a significant part in our success. We are based in Killamarsh, Sheffield 1 mile from junction 31 of the M1, ideally located to service the whole country. (from, our base we serve clients in Sheffield, Rotherham, Doncaster, Barnsley, Leeds, Chesterfield, Mansfield, Derby and Nottingham). A big Thanks for your work on our Ford Connect, I cannot believe the sign writing and the comments already from people seeing it, we have already got 1 job straight off the van!! Its awesome and far exceeds what we expected. To say everyone here is happy is an understatement. Once we have it on the stand in Frankfurt I’ll send you some pictures. Please say a massive thank you to to your fitter who was very professional. Im sure we’ll be looking for more work in the future from you. Once again many thanks. A big thank you to all at C J Signs, you have done a fantastic job of wrapping our fleet of Mini’s and they look great. The service you have provided has been excellent from start to finish and I couldn’t be more pleased with the end-product.